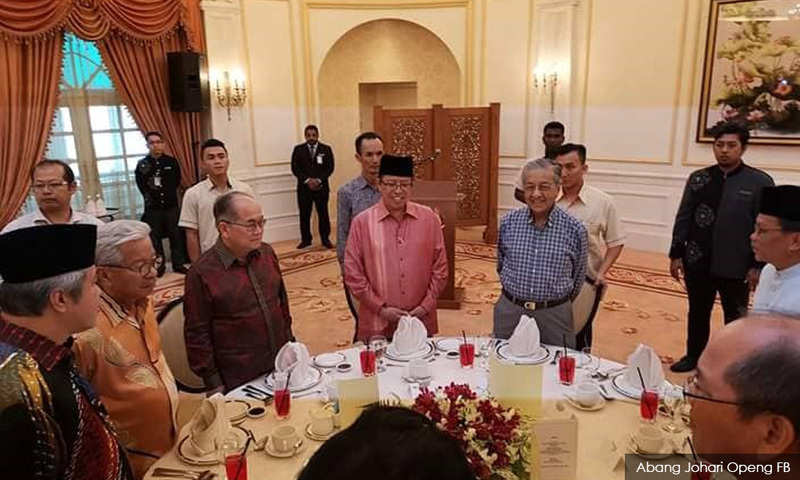 Mahathir’s Bersatu– A Reformed UMNO? COMMENT | Since I fancy myself as a sort of political Cassandra as opposed to a political Pollyanna, I am always interested in what former political prisoner Anwar Ibrahim has to say about Malay politics. His recent comments about how UMNO is not completely destroyed and has to reinvent itself has become a political Rorschach test for people who voted for Pakatan Harapan. Add to this, Najib’s telephone conversations with Anwar on the night of May 9, the seemingly never-ending public squabbles of PKR, the narratives of how Anwar “can’t be trusted”, the perception that PKR’s schism is the foundation for collusion with UMNO or PAS, and anything Anwar says is an invitation to vilify the former political operative who laid the foundation for the eventual takeover of Putrajaya. 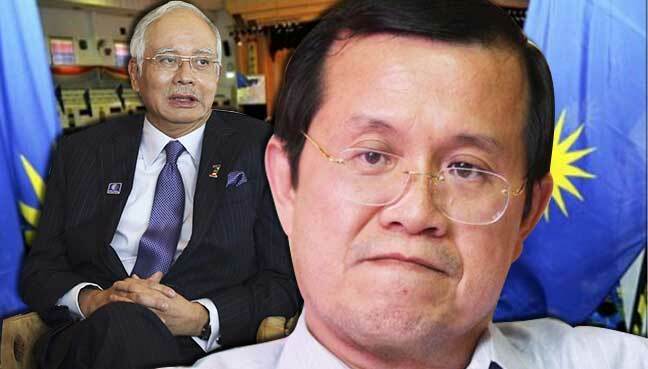 “It is no longer enough to remove Najib Razak from power. 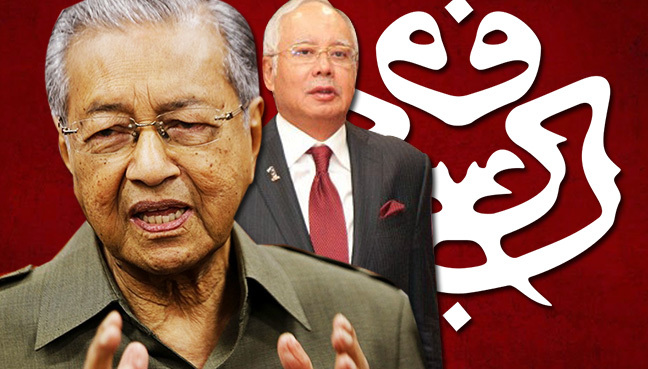 UMNO itself must be defeated”, Dr. Mahathir said. Will he break up the political party he created in 1985 and abandon the Malay agenda he initiated when he first came to power in 1981 and held to the premiership for 22+ years? I have always cautioned that this idea that UMNO and all it stands for is a relic of bygone Malaysia is foolish. Race and religious politics are sown into the fabric of Harapan with materials provided by the former UMNO regime. 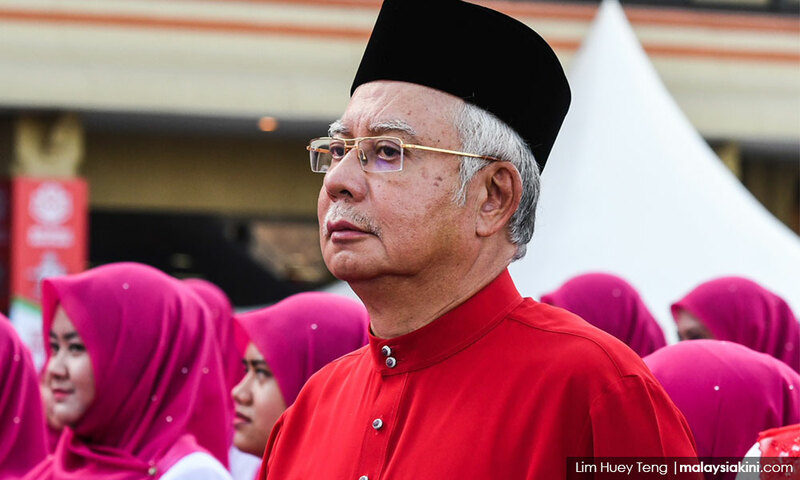 UMNO and PAS, and those that voted for them – comprising about 52 percent of the popular votes in GE-14 – are a formidable base which is currently being ignored by the numerous changes taking place in this country. Let us forget about the narratives of a possible collusion by elements in Harapan and UMNO for a moment. Some folks have said that the people are the opposition. Great, but who do Malaysians vote for if Harapan does not live up to expectations in the Peninsular? 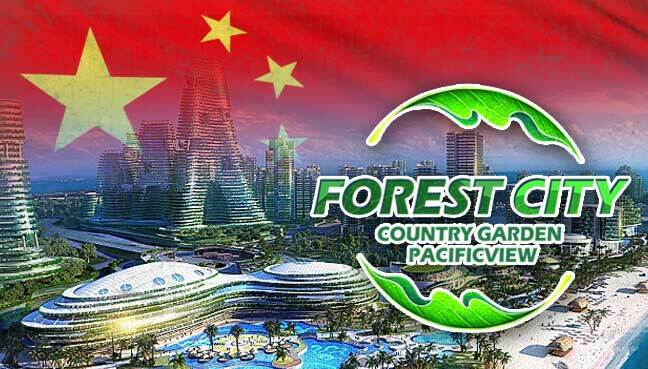 I doubt Chinese support for DAP will end anytime soon and since the “running dog” narratives take some time take root, it’s all good on their front. But if you are Malay, you got a “reformed UMNO” and PAS to choose from and this is where things get dicey real fast. By “reformed”, I mean an UMNO that is still entrenched in its ideology but with a new coat of paint to regain support from the Malays who voted against Najib. In all these think pieces I read online, it is PKR that is described as the bridge between Bersatu and DAP. In other words, the bridge between the so-called rural Malays and the urban Chinese. This, of course, is often portrayed as a class issue, but public comments from various Harapan leaders betray the reality that this is a race issue. 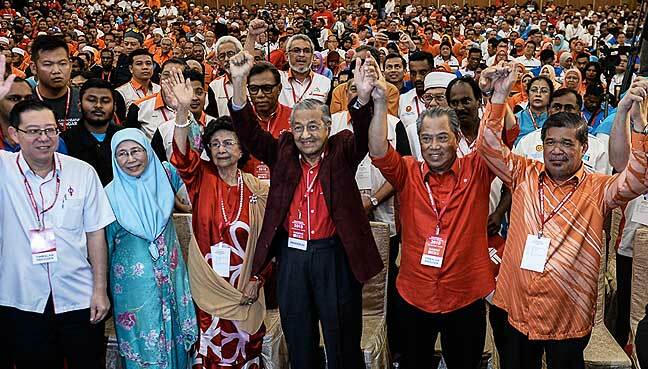 Bersatu was supposed to be the UMNO of Harapan – the linchpin for the new deal that would ensure that the races would cooperate in the old alliance way before the dark times of UMNO ‘ketuanan’ hegemony. It did not work out that way. UMNO still commands the Malay base and now PAS is slowly demonstrating that its outlier status is a political advantage in this new Malaysia. 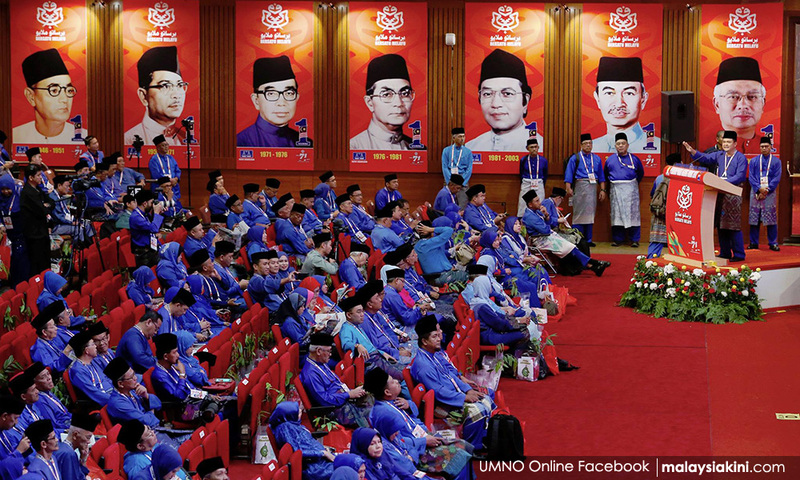 Public comments from certain UMNO leaders – Khairy Jamaluddin for instance – of turning UMNO into a multiracial party could be post-traumatic stress from the recent elections. However, what he does represent even though the old guard of UMNO may not like it, is a leader who balances ‘ketuanan’ ideology with the pragmatism of compromise that is needed to win the cash cows which are the so-called “urban centres” that PKR is supposedly a bridge to. 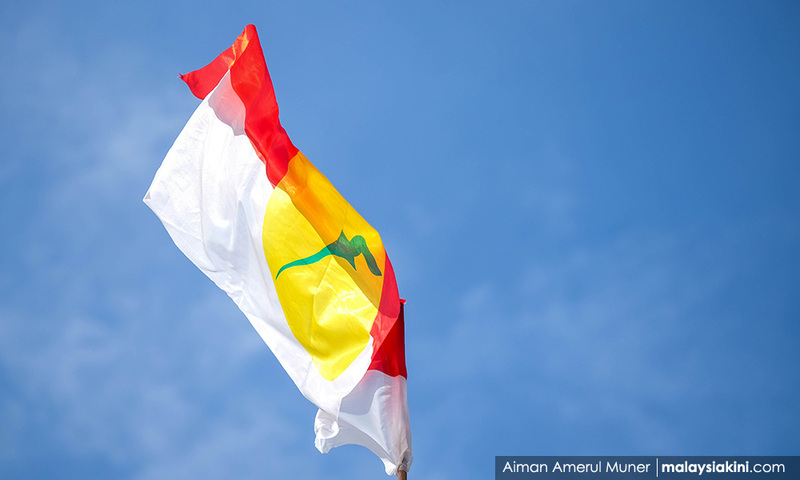 The UMNO meet-up will determine which forces in the party hold sway, of course. It remains to be seen how exactly Bersatu handles the challenge of reforming the rural polities which was needed to take Putrajaya, or so we are told. And this also involves the greater need to reform the system where dominant race-based Malay power structures rely on to sustain them. This is important because dismantling the architecture that enables the propagandising of race and religion is needed for the survival of non-Malay power structures in the long run. 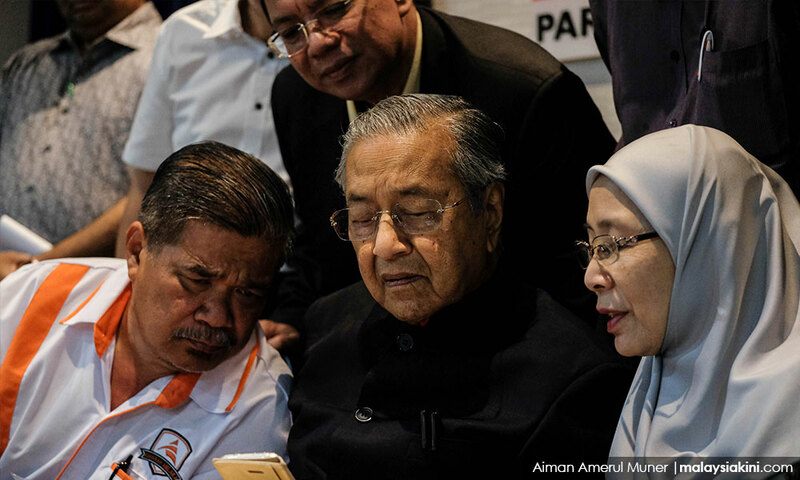 Bersatu didn’t win this election for Harapan; it was a former UMNO grand poobah, Dr. Mahathir Mohamad, who did. Systemic reform without any thought or consideration to reforming structures that enable race and religious imperatives to remain entrenched is foolhardy. Take this lowering the voting age to 18 for instance. Great idea but I really hope Harapan strategists are discovering how deep the radicalisation process is when it comes to religious schools and the like. Young Muslims from these types of schools have to wait a few years before voting but 18 is just about the right age when the propaganda and religious delusions are still fresh in their minds and they want an avenue to express them. Not to mention, the years of indoctrination by a system created by the very person who has gained messianic status by true believers. 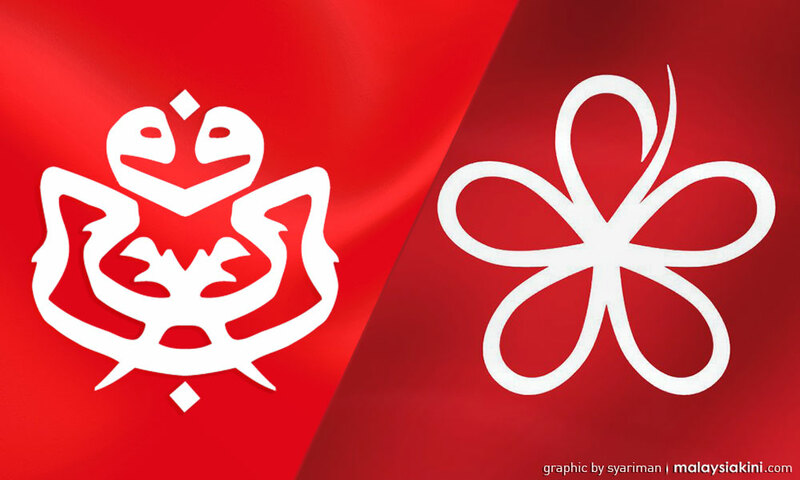 This is where UMNO or PAS could benefit more than a regime which has to compromise on its racial and religious imperatives – Bersatu – for the sake of the multiracial power-sharing formula that BN never paid much attention to. This, of course, is but one example of the fault lines that exist when making policy. In all cases, deradicalisation should be central even in the more obvious of policy shifts. Is the Harapan regime up to this? Only time will tell, and there is only a small window of opportunity because personalities are old and the young blood is waiting in the wings. So how do we combat the grand narratives of Malay supremacy in Harapan and UMNO and PAS? How do we ensure that these narratives are weakened over time? Here are some points to consider. Another Malaysiakini columnist Nathaniel Tan talks about regionalism. That is an important starting point I think. Federal power should be decentralised. This halts grander narratives of Malay and Islamic hegemony with local issues that could be dealt with state power. When people have a sense that their state governments can solve their immediate needs, there is no need to kowtow to federal power which brings with it forms of subservience that is detrimental to the democratic process. This also should extend to local council elections. This brings communities together on issues of needs. If all politics are local, then people from communities rather than political parties determine what is important to them and this also safeguards against political interference. More importantly, the media should be regional as well. Mainstream media news outlets shape the news often ignoring state level and local community level issues. This creates the impression that federal narratives – those that involve race and religion – are monolithic. This really isn’t the case. This is not something that the state governments or the federal governments should be involved with but rather independent regional media outlets, discussing local issues and ensuring that local politics remains in the forefront. If you are really serious about people being the opposition – whatever that means – this is a good way to do it, further weakening the grand narratives of race and religion by concentrating on local issues which sometimes have nothing to do with what goes on in the urban polities. In order to weaken racial and religious hegemony, it is important to diffuse power. The question has always been, is there a coalition willing to do this? When people ask me who the clear winners are in this election, my answer is always PAS. What PAS has demonstrated is that it can survive definitely without BN and time will tell if it can survive without the Harapan regime. Mind you, the relationship between PAS and Harapan has not been as fraught as it has been with UMNO. 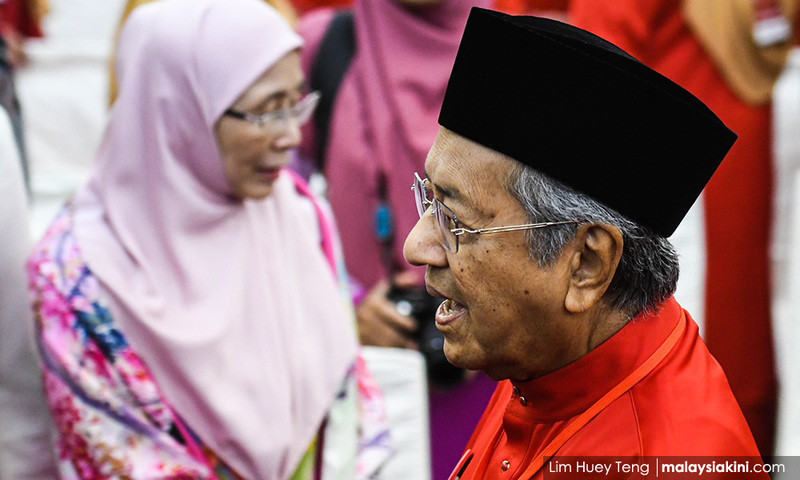 UMNO and PAS, and once the former gets their acts together, could turn out to be a formidable opposition, especially considering that sooner rather than later, Harapan will have to tackle issues concerning race and religion. We have witnessed a distinct lack of commitment among Malay power structures to buck the Islamic and Malay trend when it comes to voting on major issues involving race and religion. Will this change now that Harapan has taken federal power? 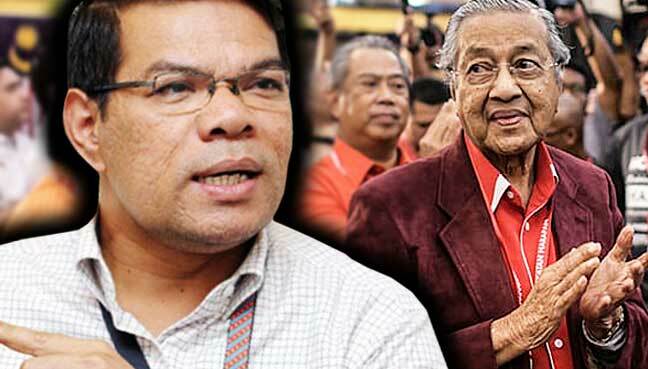 It is nonsensical to make the argument that UMNO needs to reform – become multiracial – when the there is a Malay power structure like Bersatu in Harapan chasing the same base. 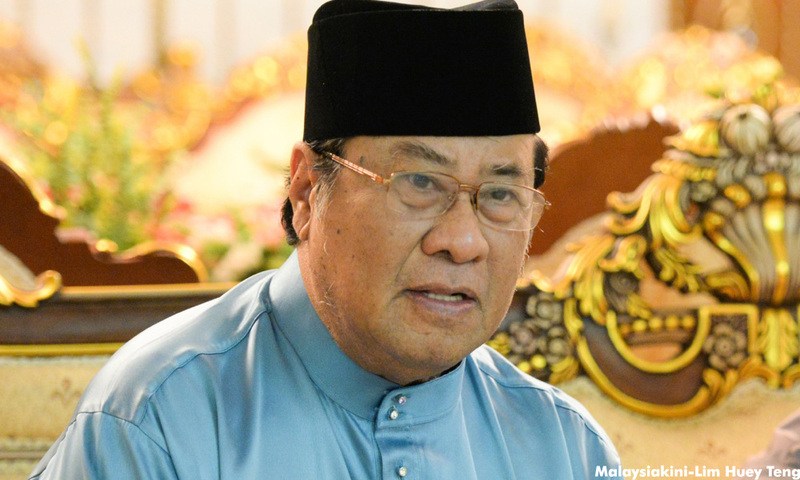 The great fear of UMNO has materialised – that is, the Malays are divided. What people should be concerned with is the interactions between diffused Malay power structures in this new political terrain, and concomitant to this, the shape these interactions coalesce into. Posted in Anwar Ibrahim, Barisan Nasional, Corruption, DAP, Democracy, Freedom, GE-14 Malaysian General Election, Goverance, Hibiscus Revolution--Malaysia2018, Kleptocracy, Leadership, Malaysia, Malaysiakini, Meritocracy and Competence, Najib Razak, National Unity, New Economic Policy, Pakatan Harapan, Parti Pribumi Bersatu Malaysia, PAS, PKR, Politics, Race Relations, Religion, The Malays, Tun Dr. Mahathir Mohamad, UMNO, UMNO-BN. Hence, it is difficult but by the same token, there are indications that Pakatan may fare well, perhaps enough to invoke a “hung” parliament status after the election despite the proposition of multi-cornered fights, he added. 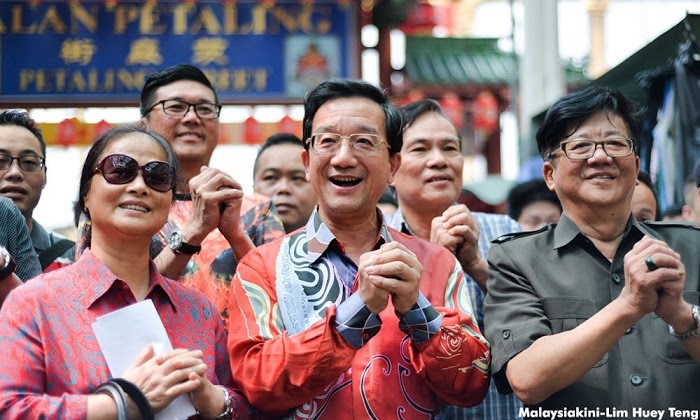 If he is not optimistic, who else in PKR is–A coalition which is disarray cannot govern. (The Sun Daily) – A senior PKR leader has admitted that differences have surfaced within the Pakatan Harapan alliance but it will not affect the performance of the opposition in the next general election. 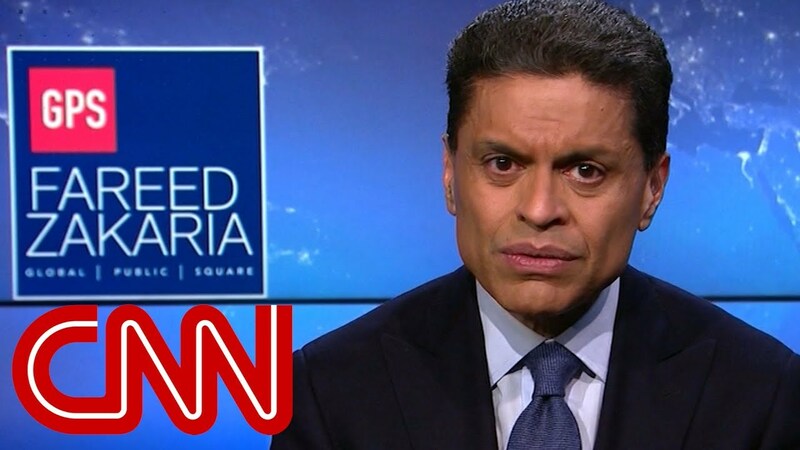 “It has not reached a level where the opposition is in total disarray. We and our supporters know who the enemy is and it is not us,” said PKR Secretary-General Datuk Saifuddin Nasution Ismail. “If there are conflicts, the alliance has come to manage it in isolation as this is a healthy process in a democracy,” he espoused. The preparations to face the overwhelming might of Barisan Nasional (BN) remains on course, Saifuddin said in an interview. Citing incidents in Penang which involved Penanti assemblywoman Dr Norlela Ariffin and Kebun Bunga assemblyman Cheah Kah Peng with the DAP-led state government, Saifuddin said that the disputes are isolated cases of dispute and he is confident that it can be resolved. With elections hotly speculated to be held within the next eight weeks, Saifuddin, who is also the strategic adviser to Lim, said that the counter-attacks invoked by BN, allegedly using the might of the government machinery was expected. It happened in 1999, 2008 and 2013 – so voters are fairly attuned to such tactics to use the enforcement side of the government to rattle the opposition. With the political opposition in disarray, Barisan Nasional is poised to win GE-14. Pakatan is also unaffected by the range of feel-good media reports surfacing, from the confidence of BN in regaining its two-thirds majority to the fact the economy is picking up. Although the opposition may not have floundered under attacks by their rivals, Saifuddin admitted that Pakatan remained the undisputed underdog due to the overwhelming advantages that BN holds in the country. For starters, BN is the second longest political entity to consecutively govern any country after one in Mexico, he said, adding that the country’s core cultural values and demographic status originated from BN’s leadership. Malaysia has 222 parliamentary seats of which BN has 132, Pakatan 72, P AS has 13 while Sabah’s Warisan has two besides three Independents.To be a force and to hold BN accountable, Saifuddin said that the voters must buy into their moral compass to differentiate between right and wrong rather than lean on their comfort zones of race, religion or status quo. Posted in Barisan Nasional, civil society issues, Democracy, GE-14 Malaysian General Election, Kleptocracy, Malaysia, Najib Razak, Pakatan Harapan, Politics, The Malays, Tun Dr. Mahathir Mohamad, UMNO. The year 2017 closed out with debates about Pakatan Harapan’s candidate for Prime Minister. This discussion touches at the very heart of the state of the opposition today, and what its prospects for GE14 are. The question is, of course, not a small one. Over the years, a great deal of power has come to be invested in the office of the Prime Minister. 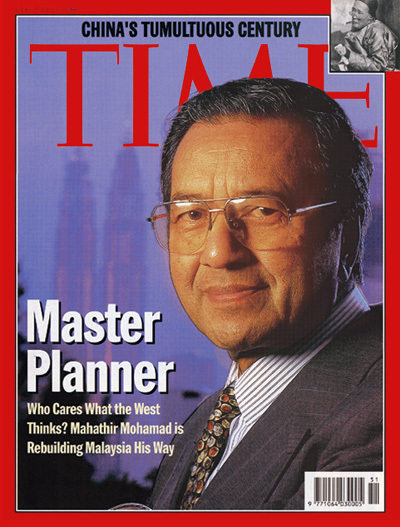 Ironically, a lot of this was achieved during the tenure of Dr Mahathir Mohamed, in the decades that he governed as Prime Minister. Since as things stand, the Prime Minister has the power to make most of the important decisions in the country – almost all by himself – it seems reasonable to expect a clear answer with regards to who a coalition would like to put forward as Prime Minister, should they win the elections. 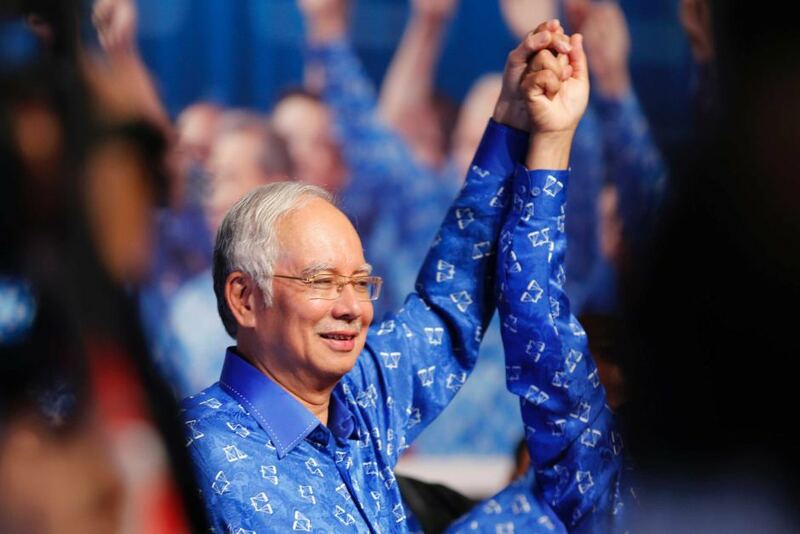 In this, we must sadly admit a great advantage lies with BN.From day one, there has been absolutely no doubt whatsoever that BN’s candidate for Prime Minister is the incumbent, Najib Abdul Razak (photo). 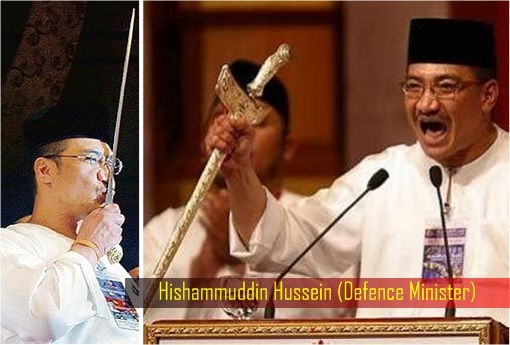 Especially since the removal of his former deputy Muhyiddin Yassin, every echelon of the UMNO and BN hierarchy has been of one voice on this matter. Love him, or hate him, there is no question in anyone’s mind that Najib Razak will become Prime Minister should BN win the elections. 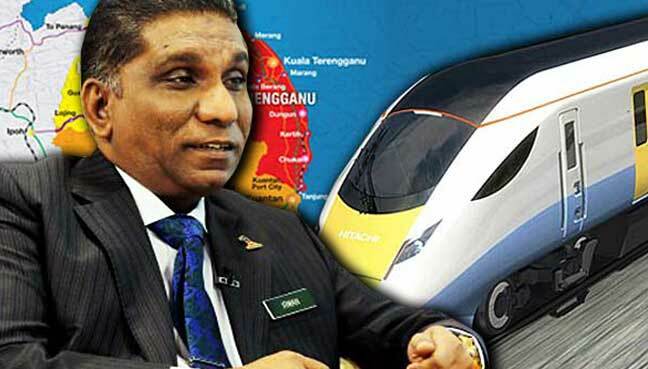 While they got off to a decent enough start, the Perak government was soon wrested in 2009, and the Kajang Move (thanks to Rafizi Ramli) threw the Selangor government into disarray – breaking the back of Pakatan Rakyat, and causing a split whose reverberations continue to be felt today. These conflicts speak to the very heart of governance and stability. 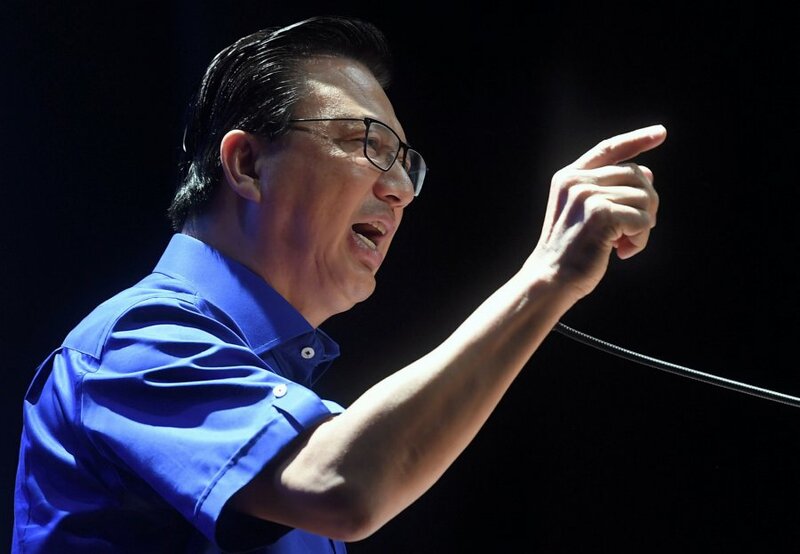 A certain amount of growing pains can be tolerated, but when this degenerates into full-on squabbling over the highest position of power – as evidenced in the Selangor crisis – then any illusion of stability is shattered. In politics, there aren’t many opportunities to create a first impression. Had the Selangor crisis been about clear-cut corruption, or some other type of scandal backed up by irrefutable evidence, the story could have been different. As it is, bad excuses were made to cover up what one couldn’t help but assume was a simple power grab and a mud-fight over resources. Extrapolating from this to federal power can conjure up scary images of chaos and destructive instability. 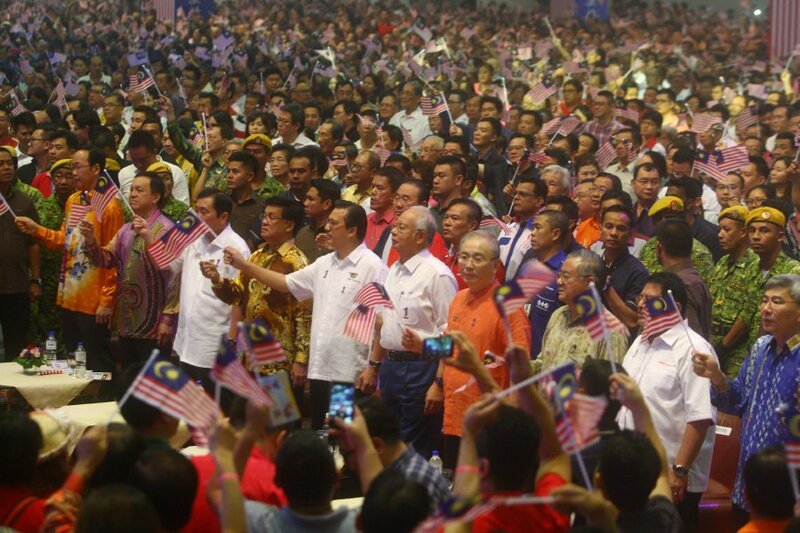 Even as we seek to topple UMNO and BN, it would be foolhardy not to acknowledge their strengths. Failure to do so will condemn any attempt to defeat them. It must be noted that while not every UMNO Deputy President has become president – a fact Muhyiddin, Anwar Ibrahim and others are all too familiar with – there has not been a single individual who has become UMNO President, and thus Prime Minister, without being the Party Deputy president first. 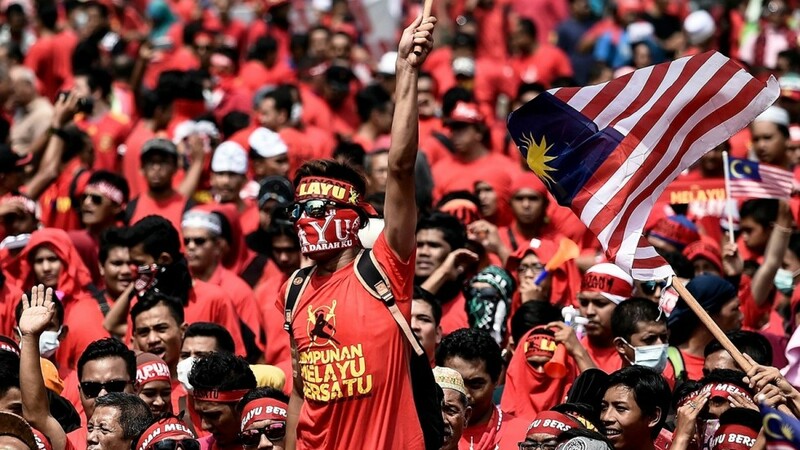 UMNO, for all its racism, bigotry, and corruption, can point to this as a history of relative stability – not forgetting, of course, the many deputies that didn’t make it, and the harm created when they rebelled. The opposition should perhaps look to establish a similar history of internal stability, instead of grasping clumsily at every general election. The best front the opposition was able to put up was probably in 2013, when the opposition had what seemed to be a viable coalition representing a wide and representative cross-section of Malaysian society, with a clear and (publicly) undisputed candidate for PM. We didn’t win, but we did do better than ever before. Instead of staying the course though, short-sightedness brought everything crashing down prematurely. As a result, Harapan finds itself in quite an awkward position, falling perhaps, between multiple chairs. They do not have a clear, obvious choice for candidate for PM. If they did, we wouldn’t be having the controversy we have now. Going into GE14, they’ll have to make the best of what they have, and the Mahathir-Dr Wan Azizah Wan Ismail combination is as good as any I suppose (although it is unclear why they would thereafter want to move Wan Azizah out of Permatang Pauh). Observers have been right to point out that an “interim PM” arrangement is both far from ideal and fraught with potential risk. That said, the best Harapan can do, all things considered, is simply to decide on a plan, and stick to it. In this case and at this stage, better an early commitment to an imperfect plan, than ongoing waffling over trying to find a perfect plan – one which, if not obvious by now, likely doesn’t exist. Said waffling is itself probably doing more damage to Harapan’s prospects than anything BN can do at this point. At the end of the day, and at the beginning of a new year, we find ourselves with the cards we’ve been dealt, and we’ll have to play them the best we can for GE14, regardless. 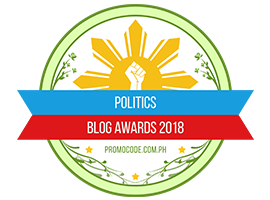 As we look beyond the next election though, and onwards to the next generation – as aspiring statespersons should – we should perhaps be more conscious of whether we are putting the cart before the horse. My uncles used to say that you don’t play squash to get fit, you get fit to play squash. Perhaps the key to defeating BN some day is not to keep flinging things randomly until we find something that sticks, but to establish an alternative institution on strong principles, and to focus on strengthening that institution and its principles before obsessing about winning elections. NATHANIEL TAN would like to wish everybody love, positivity, courage, and all the very best for 2018. Posted in Barisan Nasional, Democracy, GE-14 Malaysian General Election, Governance, Kleptocracy, Leadership, Malaysia, Najib Razak, Pakatan Harapan, PAS, Politics, The Malays, Tun Dr. Mahathir Mohamad, UMNO, UMNO-BN, UNGA.